Beshela is a social support organization for lesbian women above 45. The idea of creating a community in Israel for older lesbian women was first envisaged by Dr. Ruth Litvin in the late nineties. However, it took another few years until the first seeds were planted at a conference of lesbians, in December 2004, in which dozens of women gathered in a small lecture hall in a hotel in Netanya and where Ruthy shared her vision. In March 2007, “Beshela” finally founded when twenty-six women gathered in Tuval in the Galilee. The joint goal was to establish a community for lesbians, aged 45 and up, with a view to meeting their unique needs as they moved from middle to older age. “Beshela” fulfills that need by offering an amazing plethora of cultural and social activities each month that allow its members to gather, albeit not in a center of its own (yet! ), and to have a sense of belonging as well as pride in a community that has come so far. A decade later, in 2017, “Beshela” celebrated its 10th Anniversary with a two-day conference for its members in Neve Shalom, a membership that stood at 200 in number at the end of December 2016. 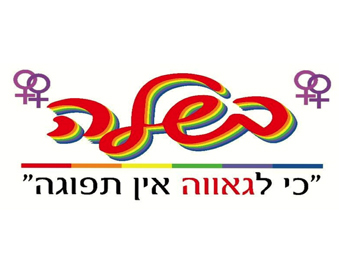 The organization still has a way to go in cultivating more social awareness as to our unique special needs as older lesbians within Israeli society, as well as gaining help in implementing many of our long-term goals. The Generation Zahav Tour Starts This Week!